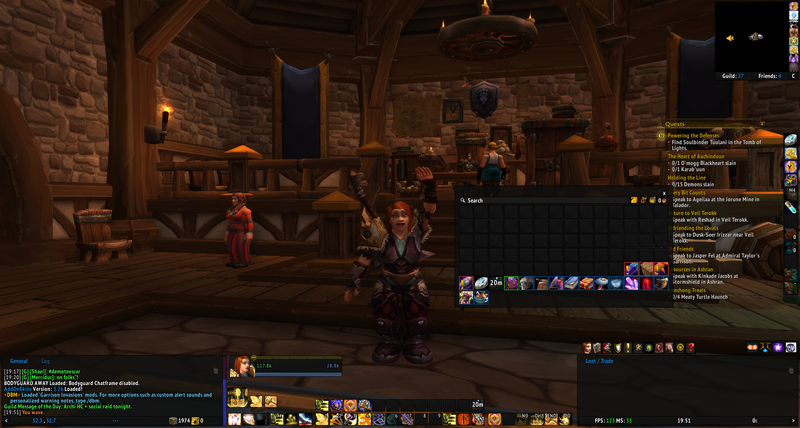 Saisa Says… – Blogging my World of Warcraft adventures. Dusting off the old blog over the coming days. I enjoyed posting before my rl took a complete turn (read: exploded). Just come back to wow after a long, long break! I have a huge soft spot for Mei – she has been a long term toon of mine, starting off as Gnome, I then transferred to Horde where she became Blood Elf. I must admit I’m really not a fan of Blood Elves but she was maxed on Enchanting and Tailoring so I went BE for the racial Enchanting bonus. I was stuck for a while on what to do with Mei as she’s pretty much my #2, when I’m not doing something on Saisa it’s usually Mei who comes out. 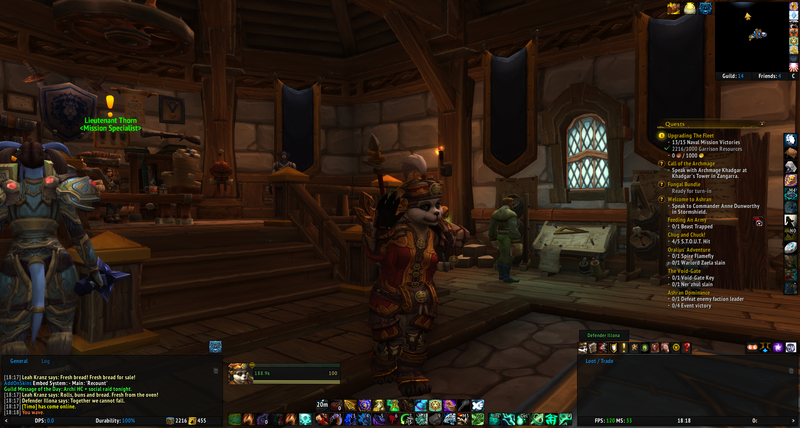 She’s decently geared, has her transmog so I wasn’t too sure what to do. 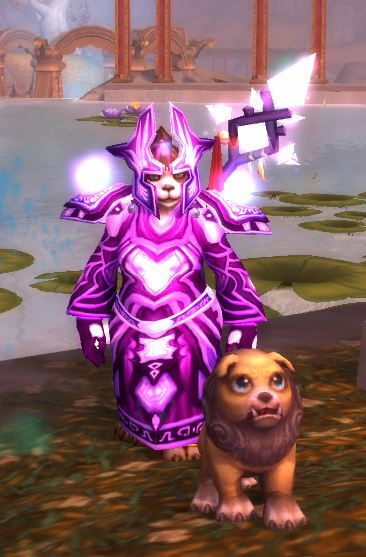 I use Mei as my Battle Pet Master being a mage she can travel more easily to collect pets so for Mage Week I’ve decided to concentrate on Pet Battles with her. I’m still relatively new to Pet Battles so there is lots to do! I still have some achievements to earn and a TON of pets to collect, I’m also aiming to get 30 (or is it 35?) 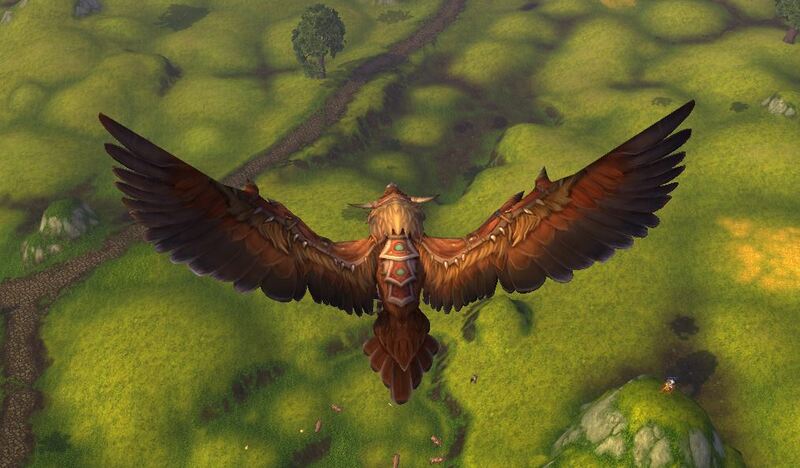 level 25 pets for the new Timeless Isle pet features. I’ve been soooo slack with my blog and it’s brand new, urgh, I’m such a failure! I thought I’d better catch up with my alt appreciation posts as I haven’t done a round-up on any yet, oops! 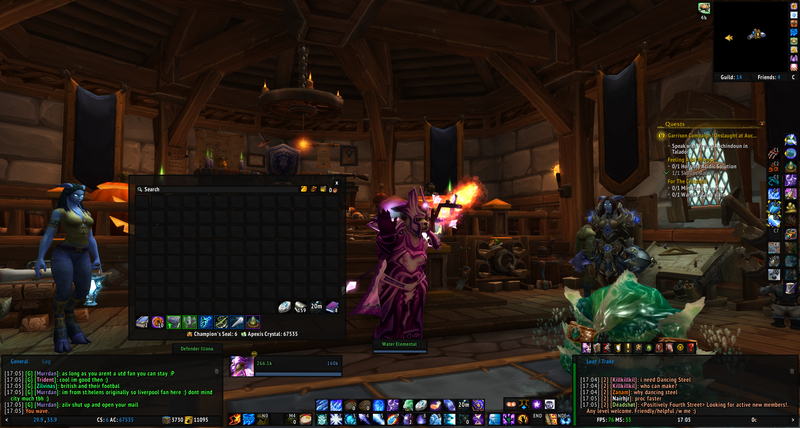 I did do a mid week post on her and I’m glad to say that I did finish off her mog set! 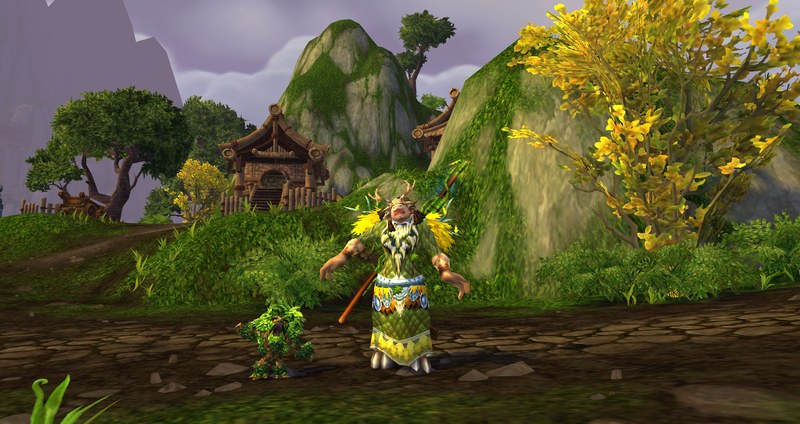 As you can see from this screenie her and her little little Blossoming Ancient seem very pleased with her new attire! I never really got time to introduce you to Kouki, I went away for the weekend, I left Friday afternoon and came back Sunday evening so she really wasn’t played that much. I did decide on a mog set for her though, this time a little more time consuming to get, I’ve chosen the set from AQ, it’s so pretty! I have all the items I need, just not the rep so it’ll take a few runs on a weekly reset but I think it’s worth it! I will do a separate post introducing my Mage as I’m still undecided what to do with her this week so far! Lelaina hasn’t been out as much as hoped so far this week, with one thing and another but she managed to get some playtime yesterday. I’ve decided to gear her boomkin kit up first so she’s better for dailies, especially with 5.4 on the horizon and I also still need to look into transmog for her, she looks like she got dressed in the dark! 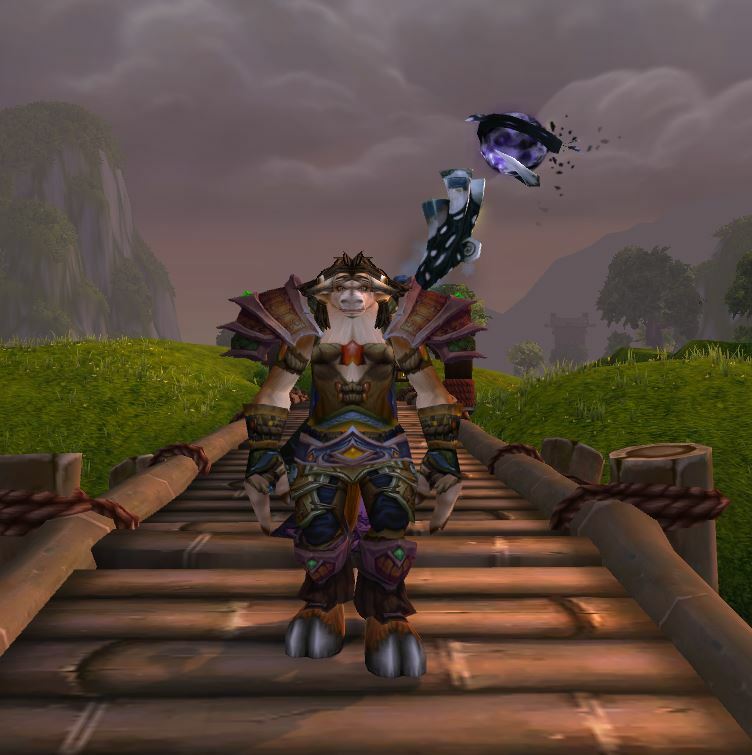 Yesterday I went over to the Isle of Thunder to find a trove to run the solo scenario for elder charms and for rep so she can buy some gear from the vendor. She handled them ok, currently she’s geared for resto but in boomkin spec so her dps isn’t fabulous but the Isle wasn’t too hard on her which surprised me! Got her a trove and ran the scenario and came out with some rep bits and 10 elder charms! Unfortunately the Elder Charms weren’t on my side and after both wings of MSV LFR and 4 bonus rolls used Lelly managed to come out with nothing…nothing at all, bah! 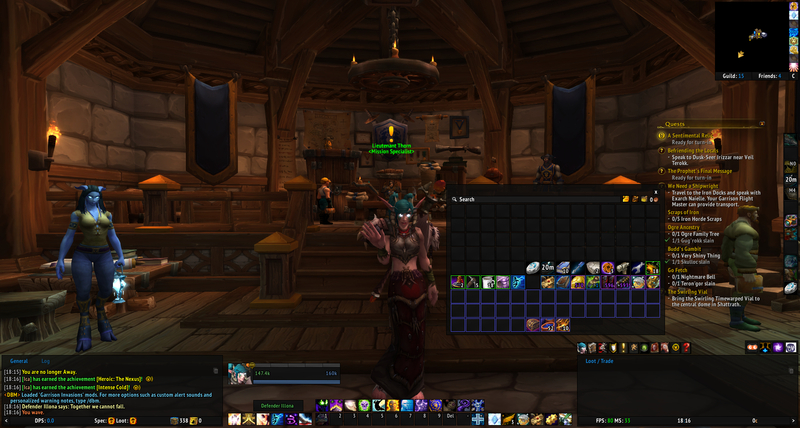 Today I hope to run HoF LFR and spend some time looking for a nice mog set for her. Although she is one of my oldest toons she has been neglected a lot lately. She logs on, tends to her farm and logs off. I’m not really sure why that is, I’ve always enjoyed Druids but I guess it’s bound to happen when you have 7 level 90s! This week I intend to level her gear up some more as she’s slacking with 473 and she won’t be played more if she’s slacking behind in the ilvl game! 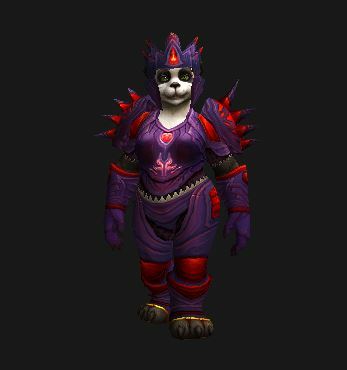 I’m also going to spend some time looking for a nice transmog set for her, as you can see, she’s rather a mish mash of leather! I do quite like the T15 set so may just go for that. Welcome back Lelly, it’s been too long! I’ve only just met Ghemit, so was unaware of such a loss, a truly lovely video. I wanted to take a minute and share this with all of you. A very talented friend (WoWMartiean) was so inspired with the coming together of the community after the sudden loss of my husband, that he created this. I’ve said it before and I will continue to say it. This community is amazing. Like Anna the femtaur has said “this community is not a hive of scum and villianry” and she’s right. 1. a group of people living in the same place or having a particular characteristic in common. “Rhode Island’s Japanese community” synonyms: group, body, set, circle, clique, faction. 2. a feeling of fellowship with others, as a result of sharing common attitudes, interests, and goals. “the sense of community that organized religion can provide”.